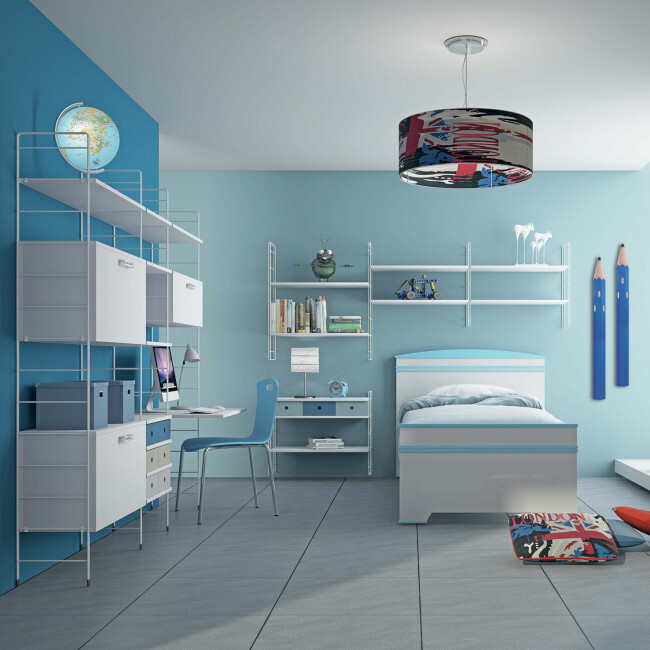 Link Night is a bookcase for kids bedrooms with built-in desk, storage units and drawers. Link collection offers a modular bookcase system with metal columns, shelves and a variety of accessories which can be used according to your needs. Among the different options suitable for a kids bedroom you can find the peninsula desk and coloured drawers which allow to create chest of drawers to place next to the desk, but also convenient wall mounted or floor standing nightstands. Thanks to this modular bookcase it is possible to create custom made solutions with a layout taking up one or more walls, to satisfy every need. The space around the bed can be furnished with solutions to well organize the books and all other objects needed in the night area. 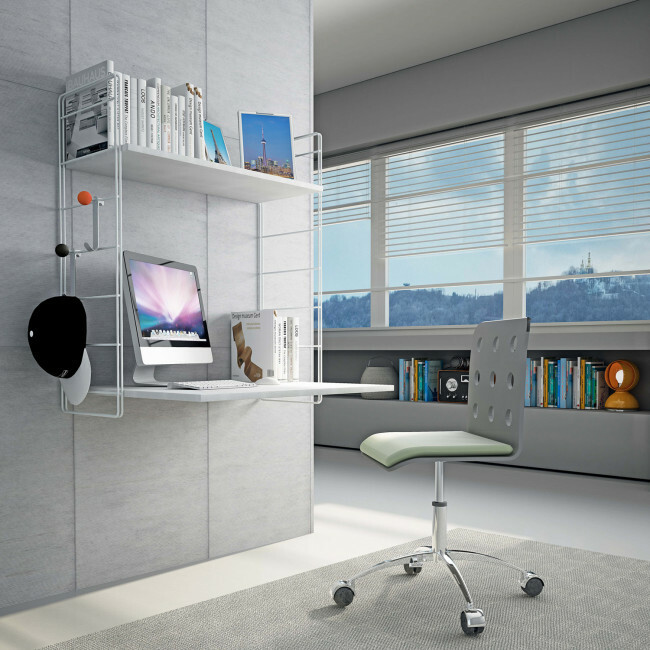 The study area can be equipped with a bookcase coming with built-in desk and storage units in different sizes. Link modular feature is the perfect solution to furnish small walls or recessed walls, for example with a layout characterized by a built-in desk coming with a reduced width and with one or more shelves according to the desired height. Lastly, Link collection includes a compartment with a foldaway single bed with casters. In this way it is possible to equip the bedroom set with an extra bed. All the finishes available allow to compose bookcases suitable for both boys and girls, but also for bedrooms used by teenagers. In addition to the compositions found in this page, with Link Free you can create your own customized solutions or expand the ones already present. For more information regarding the foldaway bed shown in the image please visit Link Bed product card. 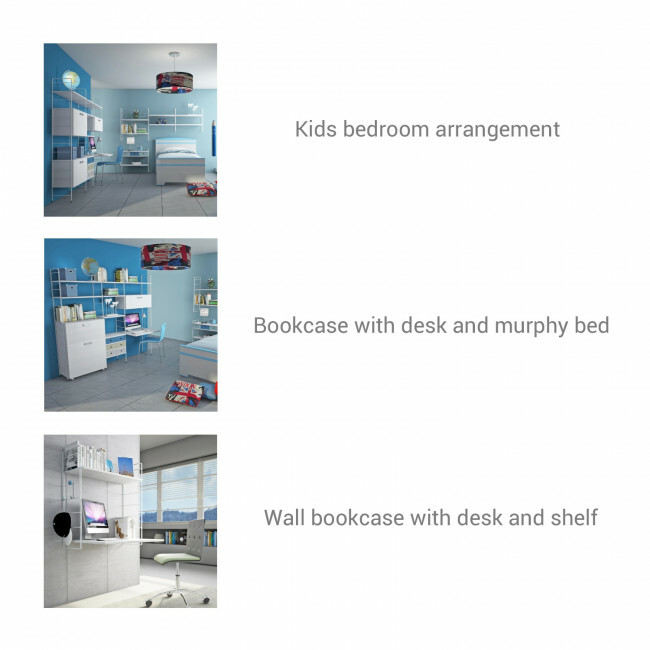 Link Night is a bookcase for kids bedrooms with built-in desk, wall mounted or floor standing. It belongs to Link collection: a modular system with columns available in different heights and equipped with shelves in different widths. Link Night can be placed fastened to a wall, wall hanging with joint on the ceiling, in the middle of the room as a partition wall. 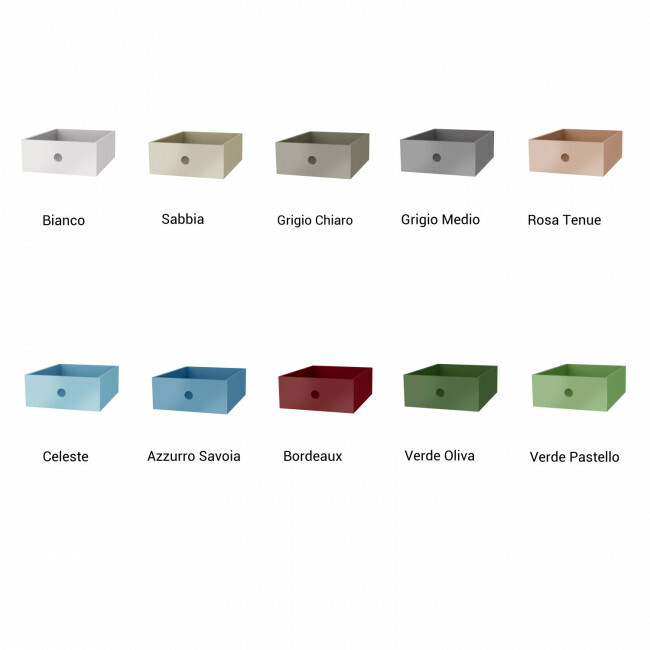 You can find all customization possibilities of this bookcase by using the configuration menu.